By Melissa Lennig on November 1, 2018 15 Comments. This content contains affiliate links. As an Amazon Associate I earn from qualifying purchases. 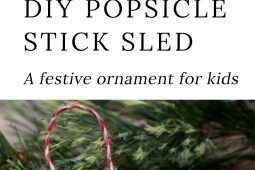 Inside: Just in time for Christmas, learn how to make a DIY wooden popsicle stick sled ornament with craft sticks, glue, and paint. This simple holiday craft for kids is perfect for home or school! 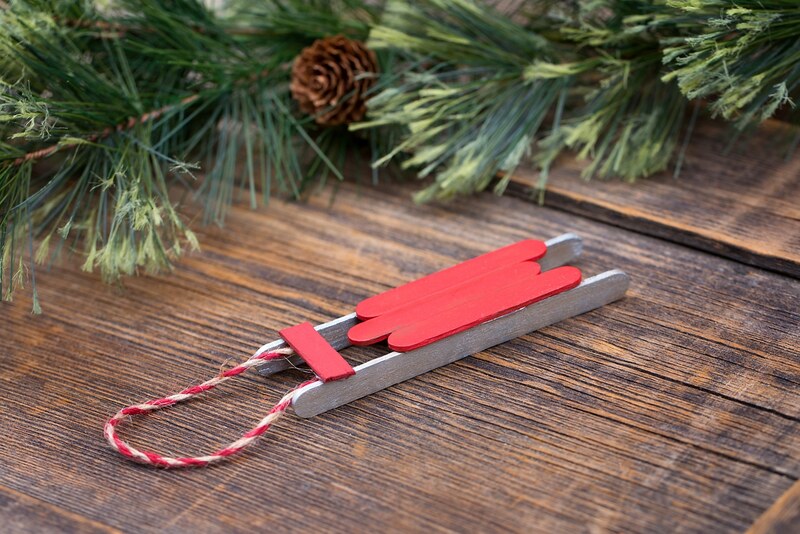 Today I’m excited to share a simple, vintage-inspired wooden Popsicle Stick Sled Ornament for kids in conjunction with the 10 Days of Kid-Made Christmas series. Like last year, all of the kid-made Christmas ornaments are inspired by children’s books. It’s one of my favorite blog series—I just know you’ll enjoy following along too! This year, our wooden sled ornaments were inspired by Richard Scarry’s The Animals’ Merry Christmas, a delightful book containing 18 short stories and poems. 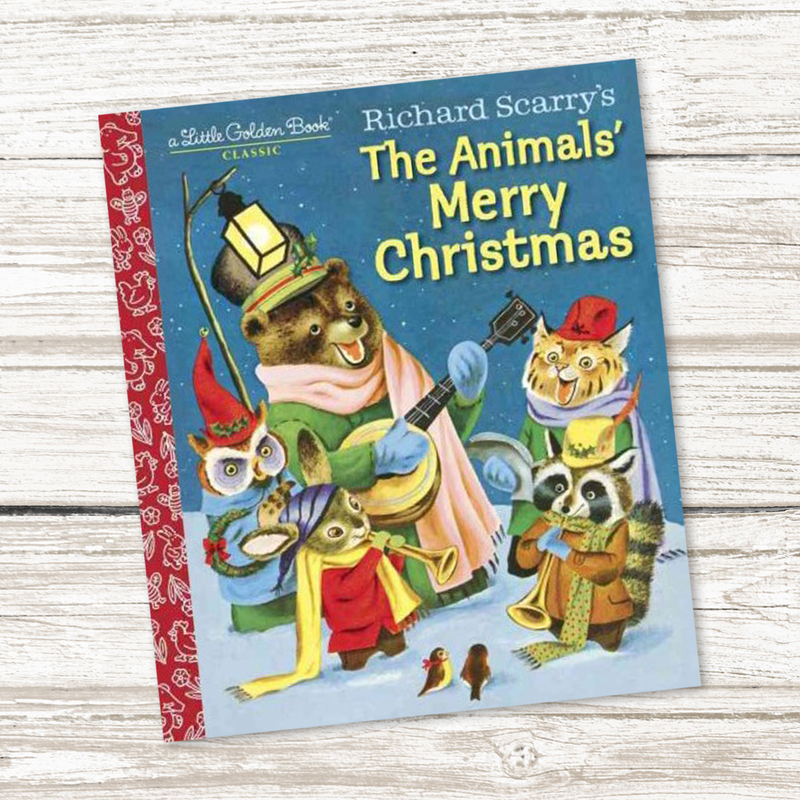 My children have always enjoyed Richard Scarry’s characters and simple old-fashioned stories. One of the short stories in the book, The Golden Sled, is about a bear who asks Santa for a golden sled. Will he get his request? 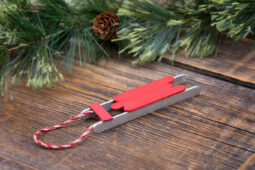 When the story is finished, kids of all ages will enjoy creating and painting miniature wooden sled ornaments for their Christmas tree or imaginative play. We even made a golden sled in honor of the story! 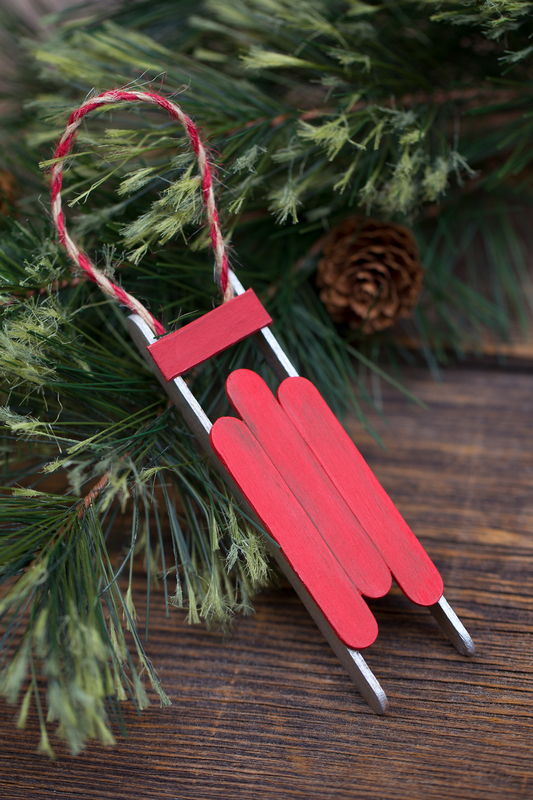 Just in time for Christmas, learn how to make a DIY wooden popsicle stick sled ornament with craft sticks, glue, and paint. This simple holiday craft for kids is perfect for home or school! 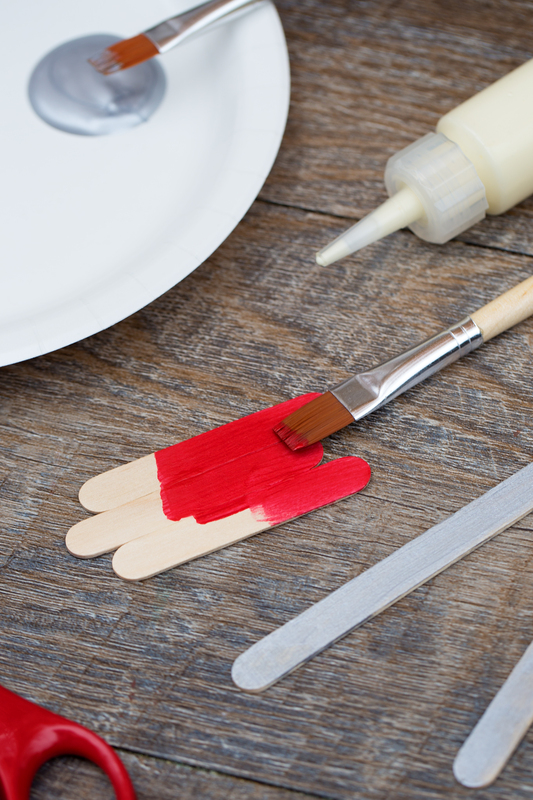 After gathering supplies, lay 3 miniature craft sticks flat on a piece of wax paper. Stagger them slightly so the middle stick pops out, then glue them together side by side. Use sharp scissors to snip a small board from the extra craft stick (about 1 1/4 inches long). 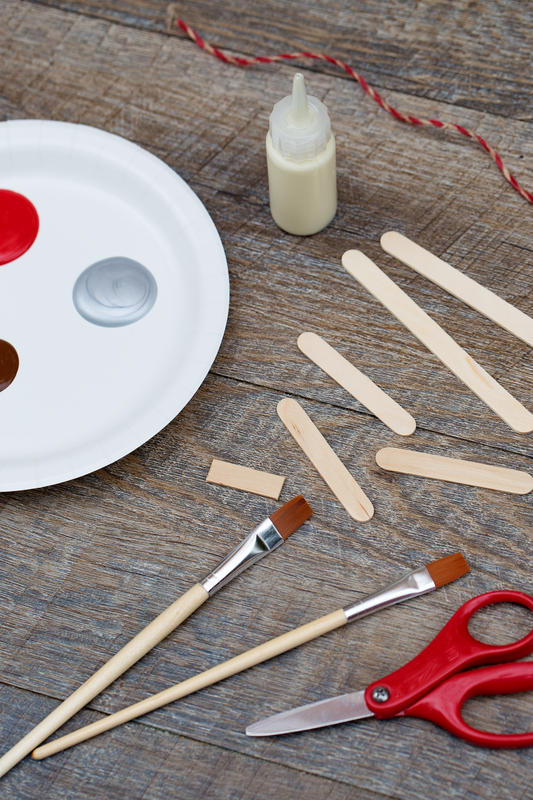 When the glue is dry, invite your child to paint their sled, board, and sled runners. When the glue is dry, invite your child to paint their sled, board, and sled runners. 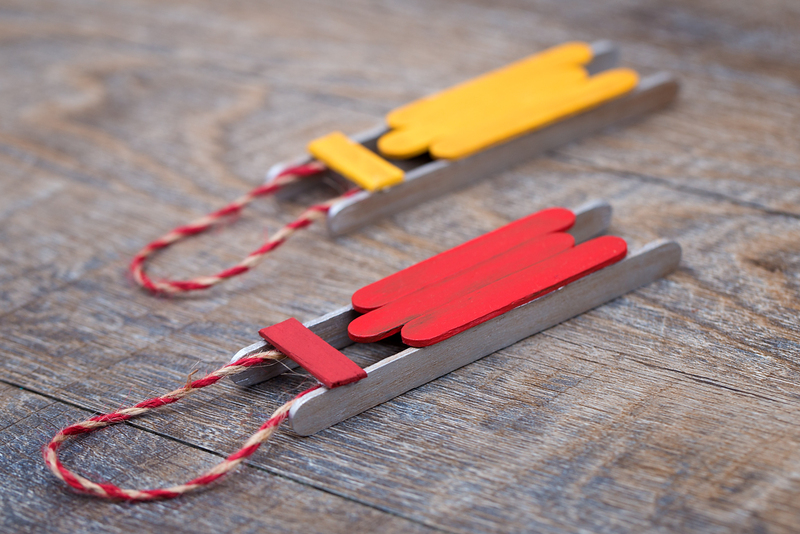 We painted our sled ornaments red and yellow and painted our sled runners silver. Attach the runners and board to the sled with hot glue or tacky craft glue. Next, glue a loop of twine to the back of the ornament. If desired, use a metallic Sharpie marker to label the sleds with the year and your child’s name. 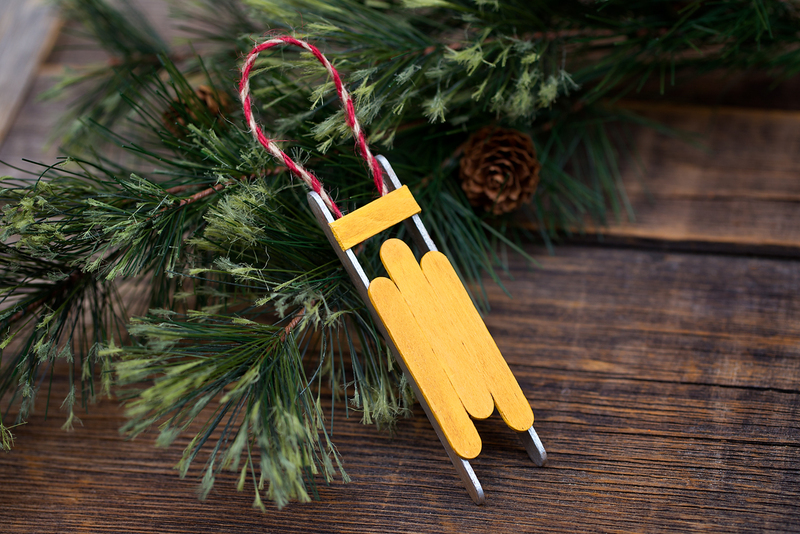 Your rustic wooden sled ornament is complete! 1. 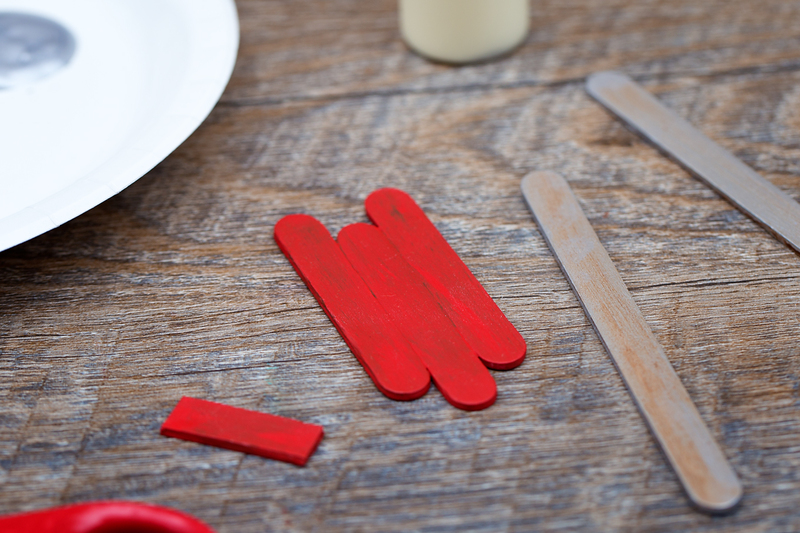 After gathering supplies, lay 3 miniature craft sticks flat on a piece of wax paper. Stagger them slightly so the middle stick pops out, then glue them together side by side. 2. Use sharp scissors to snip a small board from the extra craft stick (about 1 1/4 inches long). 3. When the glue is dry, invite your child to paint their sled, board, and sled runners. We painted our sled ornaments red and yellow and painted our sled runners silver. 4. When the paint is dry, invite kids to apply antiquing medium to all of the sled pieces with a brush. Remove excess medium with a paper towel, then allow the ornament pieces to dry completely. 5. Attach the runners and board to the sled with hot glue or tacky craft glue. 6. Next, glue a loop of twine to the back of the ornament. 7. If desired, use a metallic Sharpie marker to label the sleds with the year and your child’s name. 8. 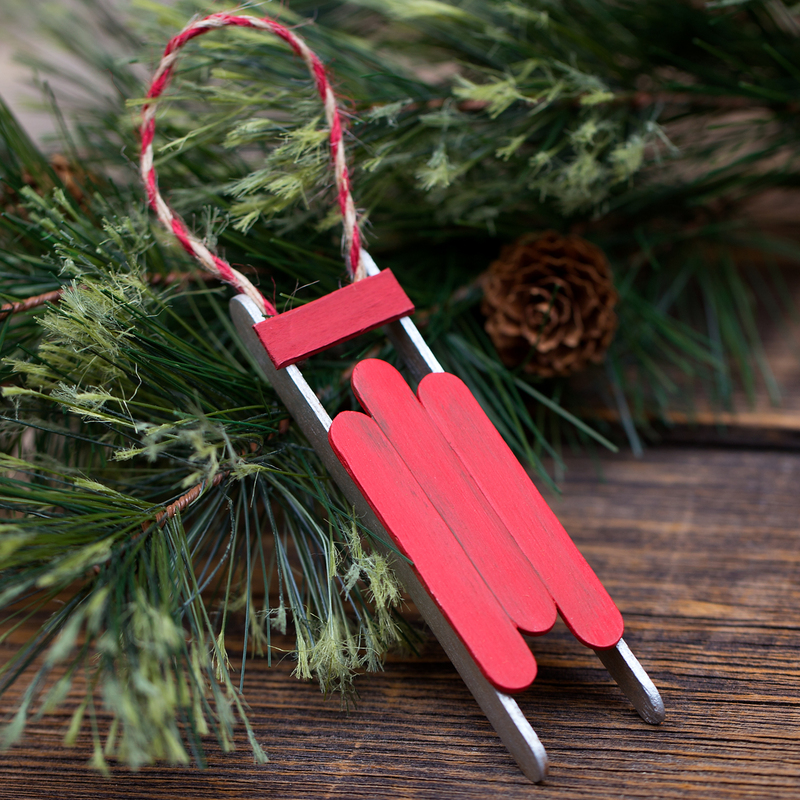 Your rustic wooden sled ornament is complete! 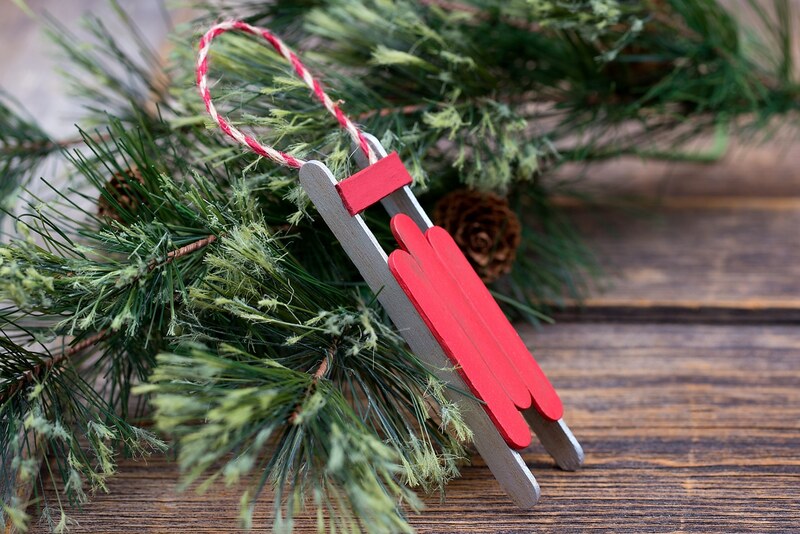 These Popsicle Stick Sled Ornaments look beautiful hanging on the Christmas tree as a decoration or dangling from the ribbon of a Christmas gift! 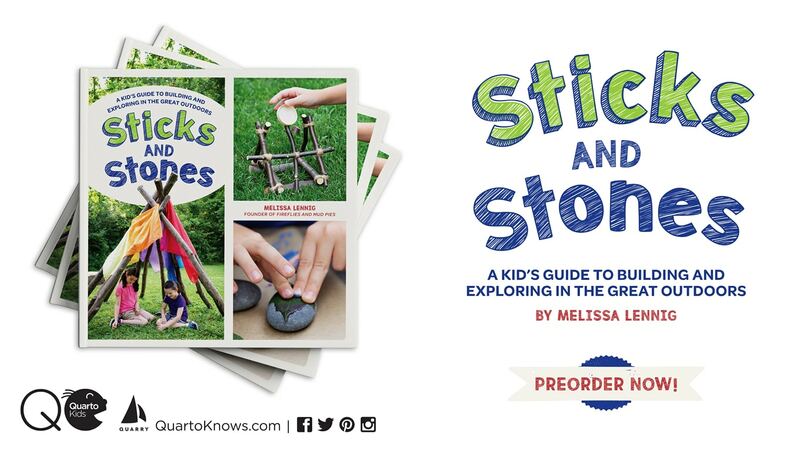 Are you still searching for the perfect kid-made Christmas craft or activity for your kids, grandkids, scout group, or classroom? 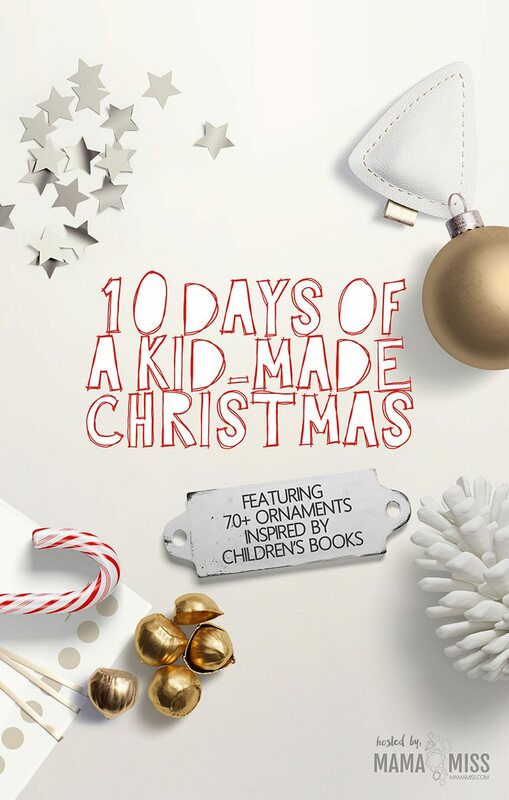 Click the image below to visit the landing page for the 10 Days of a Kid-Made Christmas series. Shared below are links to the fabulous day 2 crafts and activities. Have fun creating this holiday season! This post was originally published November 30, 2015. I think the yellow one is my fav!! So fun! I do love his “golden” sled! This is such an awesome craft. It is simple to make and absolutely adorable. I know some kids who will love making this craft. I love how old fashioned and rustic the craft is, it is very appealing to both boys and girls. I hadn’t thought of the Richard Scarry book in awhile, thanks for the idea. Pinned and shared. You have the cutest ornament crafts 🙂 Love this!